American white pelicans are social birds, living and hunting in colonies. They ride on top of the water in groups to trap schools of fish, scooping their pouches into the water like fish nets. 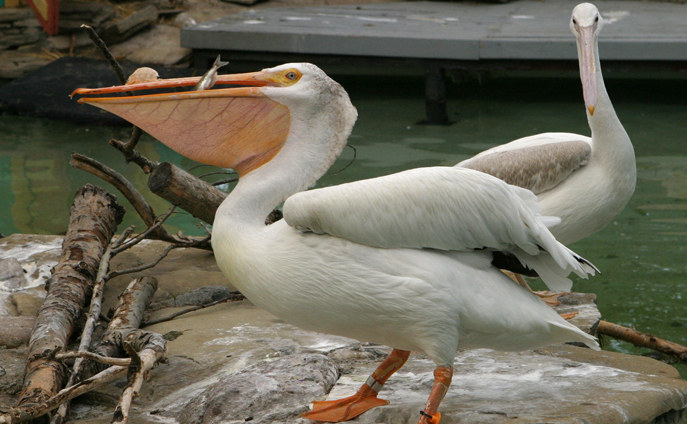 Pelicans do not store fish in their pouches; once the fish is caught the bird tips its head back and allows the water to drain out, then swallows the fish. During breeding season a nuptial tubercle (vertical plate) grows on the top bill which is believed to be a mating display.